Swahili Costume in 1900. 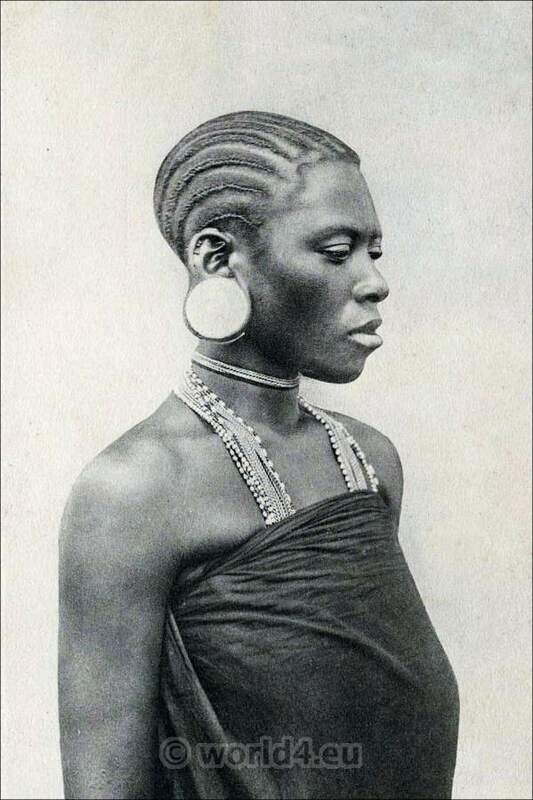 Woman from the Mbaruks Tribe. Swahili Costume in 1900. Woman from the Mbaruks Tribe, East Africa. This entry was posted in 10s, 20th Century, Africa, Hairstyle, Headdresses, Mozambique, Somalia and tagged Traditional African dress, Traditional Mozambique Costume, Traditional Somalia Costume on 3/25/13 by world4.